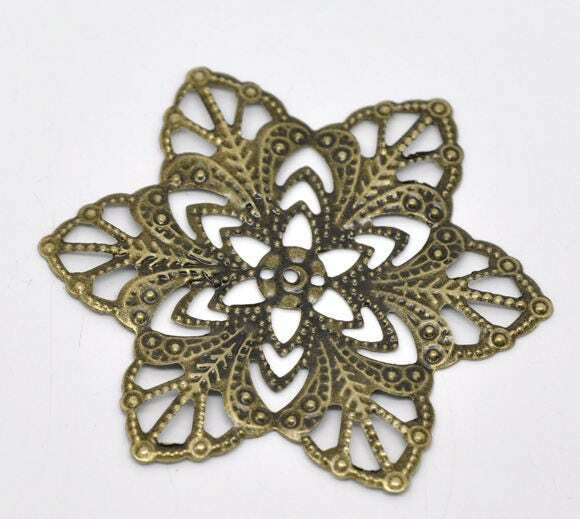 Antique bronze filigree stamping with flower pattern. Great for wrapping and connectors. Measures 57mm. 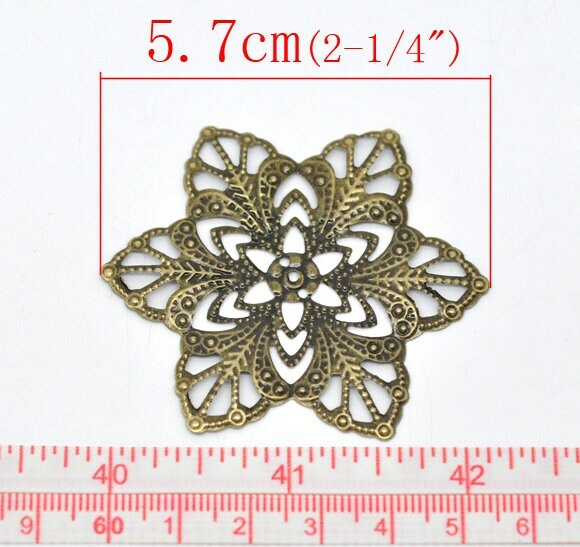 Perfect for necklaces, layered designs and more. Zinc metal alloy, lead free, cadmium safe. You will receive 5 pendants. 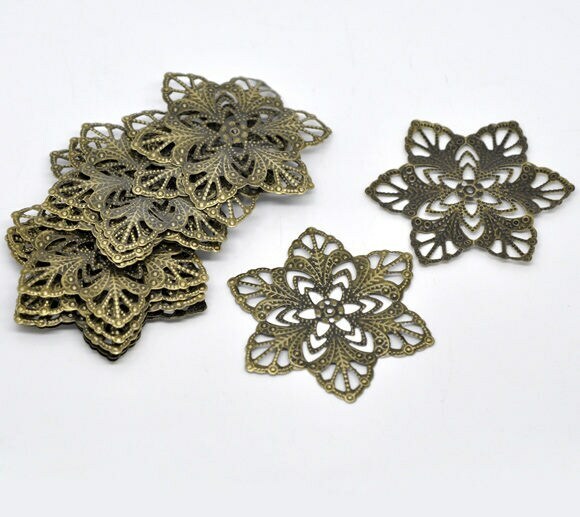 I'm going to try a beaded snowflake ornament with these, perfect size for my project at a great price. Thank you for all!